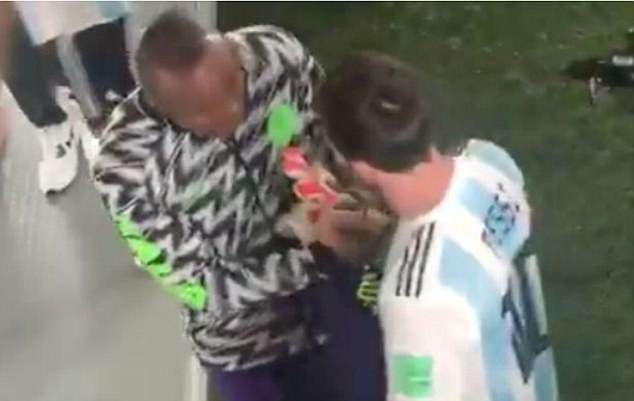 Should Ikechukwu Ezenwa have asked for Messi’s jersey? Nigeria‘s third-choice goalkeeper Ikechukwu Ezenwa will be heading back home from Russia, having failed to taste any World Cup action. 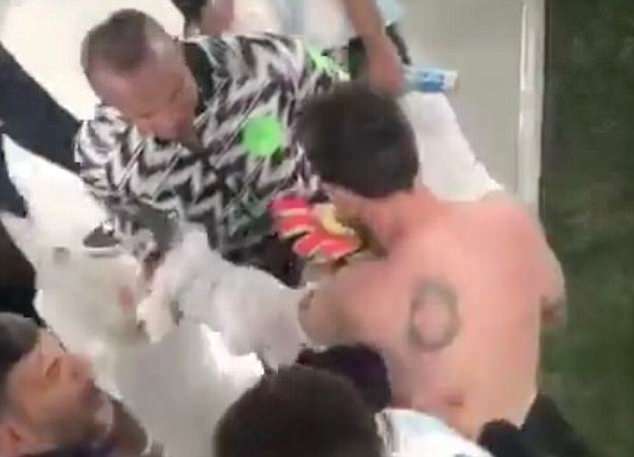 But while there were no minutes for him to savour, Ezenwa did gain one valuable souvenir from his short time in Russia – Lionel Messi’s match shirt. 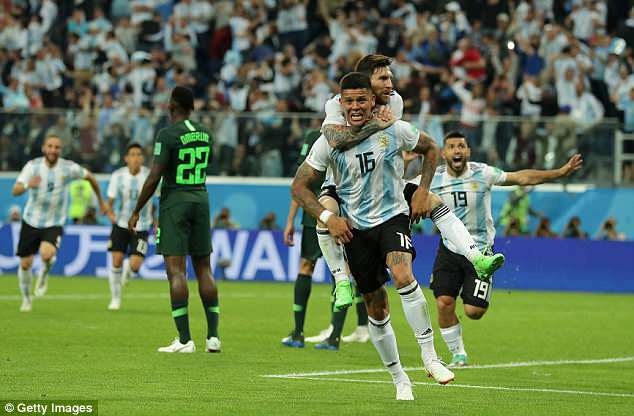 The Argentina superstar scored a stunning goal against Nigeria to break the deadlock – and open his account for the tournament – before Marcos Rojo bagged a late winner to book their spot in the last-16 of the World Cup. At the full-time whistle there was a complete contrast of emotions. 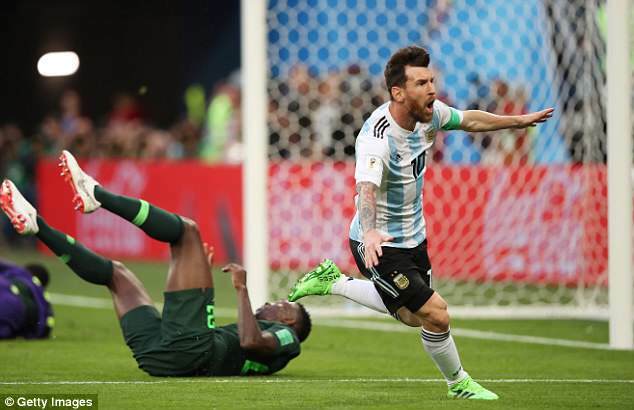 As the Argentina stars celebrated wildly on the pitch the Nigeria players laid still on the floor. Once the celebrations and commiserations were over, Ezenwa made his move, collaring Messi in the tunnel to ask for his shirt. The 29-year-old, who has 24 caps to his name and plays his football for Enyimba International back in Nigeria, appeared to have been the only player to ask Messi for his jersey. Having not played, Ezenwa had nothing to offer in return but Messi was more than happy to oblige and handed his shirt over. 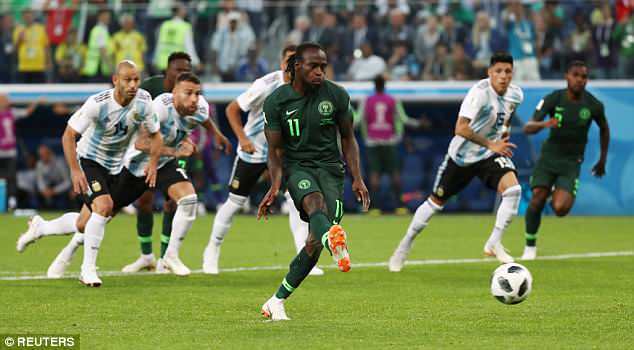 The African nation came within minutes of reaching the knockout phase after Victor Moses had cancelled out Messi’s strike from the penalty spot but fell just short after Rojo’s clinical finish in the box. Argentina face a difficult challenge against tournament favourites France in the last-16 on Saturday at the Kazan Arena.